A murder investigation has begun after a man's body was found in woodland in South Yorkshire. 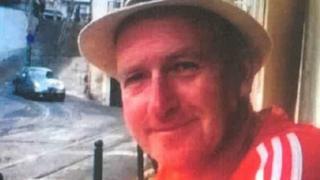 Police said 48-year-old Gary Dean's body was found with severe injuries at Silkstone Common, near Barnsley, on Thursday. A 40-year-old man has been arrested on suspicion of murder and a woman, 76, has been arrested on suspicion of assisting an offender. Police have appealed for anyone with information to get in touch. Officers said investigations into Mr Dean's death were ongoing and a post-mortem examination was due to take place. Det Ch Insp Steve Whittaker said: "Our inquiry continues in earnest to understand what happened to Mr Dean and I'm appealing to anyone who may have seen him before his death to contact police. "When he was last seen by his loved ones on Thursday morning, he was reportedly wearing trainers and a bright red long-sleeved running top."